Over the years, I have had the opportunity to use many different products and it became clear to me early on that hard wax on the bikini area was a vastly superior product. Hard wax is applied and it shrink wraps the hair and is very gentle, it is less painful and renders the best results. As time has passed more and more clients are interested in sugaring and organic honey wax. We have added organic honey wax to our menu. You may choose a combination wax which includes organic honey wax (this grabs the finest of fine hair) in addition to hard wax which we use on the most sensitive areas. I know getting waxed can be intimidating, but I do everything I can to ensure a comfortable experience with a fantastic end result. I look forward to seeing you soon. This service is for New Clients to Sassy Ladies Beauty Bar and Clients who have not waxed in 2 months . Please select this service as it will give us more time to do your service. Please arrive 15 minutes early to apply numbing spray upon request. This is what we call a "skimpy" bikini, almost a brazilian but not as in depth. This service will leave you feeling sassy. This service includes the back side which we like to call the bunny tail. Basic Bikini is for those that just want simply the sides of the bikini line removed. Does not include the bunny tail. We basically remove the oh so unwanted hair outside of a basic underwear line. Our most popular service requested. We offer combination of Organic Honey Wax in addition to our European Hard wax. Or You may request Hard wax Only. This amazing service will leave you silky smooth for weeks. Throw your razor away and say hello to smooth skin. This service includes removing that oh so unwanted hair from wrist to slightly above the elbow. This service includes removed that oh so unwanted arm hair that glows in the sun. wrist to above shoulder. Our most popular requested service. Fuzzy Tummy... bye-bye! Throw those pesky razors away and say hello to smooth skin. Not only does waxing slow down the hair growth, it grows back ultra fine and smooth. Bye-Bye Fuzzy back. 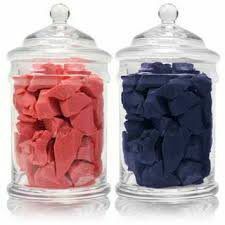 Don't you fret our wax is so gentle it will leave you feeling so smooth and confident. This is one of the services that is requested daily. This is recommended in combination with a Basic Bikini, Skinny Bikini and Brazilian. This is the perfect service to add on to a bikini,skinny or brazilian wax. We get rid of that oh so unwanted peach fuzz on the derriere Cheek to Cheek and in between. Facial Waxing " The Essentials"
This treatment is our most popular service. We highly recommend NO TWEEZING or "plucking" 2 weeks prior to your visit. Runway Be Gone This service is for the center of your belly button down to the bikini line. This is a male version of the brazilian. This service is available on request and you must call in to book over the phone. Professional service only. We will remove that oh so unwanted hair from inside your nose and give you a fresh look. This removes some blackheads and unwanted hair. This service is our most requested. Allow yourself to have smooth skin instead of stubble from shaving. We will remove all the unwanted stomach hair. This is for that oh so unwanted hair, stop shaving and let us get rid of that hair for you. Waxing the complete back hair line to clean up the shop of your hairline when you wear your hair up. Will wax the sideburns and nape of neck to create a clean line.